How to immigrate to Canada from Saudi Arabia. Read our easy checklist to make your application a success, from language tests to police clearance and more. It’s really easy to make mistakes in your immigration application. You shouldn’t have to struggle, which is why we put together a handy guide to avoid those silly errors. Discover how to immigrate to Canada from Saudi Arabia here. First, you must know which immigration category you want to apply under. There are over 60 immigration programs and streams to choose from. We recommend looking at your needs and then matching them with the appropriate program, for example, if you want to study in Canada, you will need to apply for a study visa. You should also have an idea about which of the 13 provinces or territories you wish to live in because not all immigration programs are the same for each part of Canada. Should You Choose Express Entry? 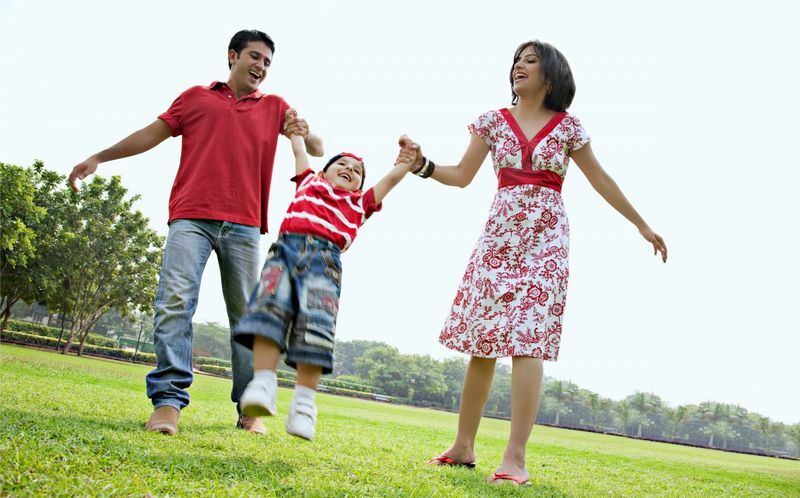 Express Entry, one of the most popular programs, lets you apply and qualify in six to eight months. Not only is this program one of the fastest ways to become a permanent resident of Canada, it also gives you the chance to assist the rest of your family into the land of the maple leaf. Six new changes to the program have also made it easier to qualify. When you apply for any document or application you will need a valid ID and passport on hand. Always make sure that your documents will not expire before or during your application process, or you might need to reapply. If you plan to apply, you will need to prove that you have the right language skills in French and English. You can do this through several tests that are accepted by the IRCC (Immigration, Refugees and Citizenship Canada). First, you must choose which of the two, English or French, is your first language. What Scores Do You Need For The Three Programs? First of all, you must know what an ECA is. 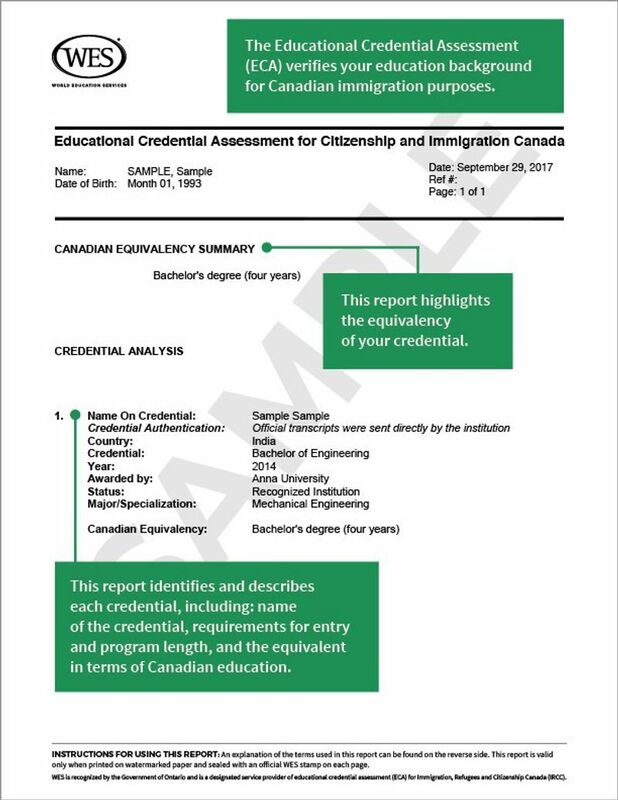 It is a document that evaluates your education if you were taught outside of Canada. It is a way to prove that your qualifications, like a degree, diploma, certificate and PhD are equal to Canadian standards. Where Can I get my ECA? You can apply for an ECA on the WES website. This website also includes an option for professionals to get their credentials licenced, for example doctors, nurses and other skilled professionals. Most ECA for immigration will take around 20 business days to be processed and completed. Here is an example of an ECA. Because of new changes to immigration law, if you are from Saudi Arabia, you will need to join the Canadian biometrics system. Biometrics are pieces of information that is stored on Canada’s database that links to your identity through fingerprints and facial recognition. It was introduced by Canada to help ensure that no one can use or abuse your personal identity, because of the increasing amount of online identity fraud around the world. You must include a photo and fingerprints for identification purposes if you are between the ages of 14 and 79. Registration for this program is needed if you plan to study, work or live in the province. There are only certain places that you can apply for biometrics. In Saudi Arabia, you can apply in Riyadh, Jeddah and Al Khobar. Just make sure you book an appoint at their registration offices before you arrive. This is the code needed to find out what visas you can apply for with a specific job. The NOC or National Occupational Classification has five main levels 0, A, B, C and D.
All jobs are given a four digit code, for example, if you are an ironworker, your job code will be 7236 B. In most cases, you will not need a PN to apply for certain visa programs. This nomination allows you to apply for permanent residence in one of Canada’s provinces or territories. A Canadian job offer is made by an employer who lives in the country. There are certain requirements that they must meet before they can offer you employment. Job offers must be full-time, sadly part-time work does not count. To be honest, you do not need a Canadian job offer to apply for programs like Express Entry, but they do help to market you as a potential applicant. In some cases, your employer will need to provide you with a LMIA (Labour Market Impact Assessment) to prove that only you have the right work experience, qualifications or skills needed for the job. Please note that a job offer for a 00 level job will be better for you and may give you an additional 200 points under the CRS (Comprehensive Ranking System) for Express Entry and PNP programs, while a normal job offer without an LMIA will only give you around 50 points. A CRC can take around 120 days if you match any records on police files. On the other hand, if you have no police records, your application will take around three days instead. When you receive your police check you must send it to the CCRTIS (Canadian Criminal Real Time Identification Services). You can contact them here ccrtis-scictr@rcmp-grc.gc.ca , if you have any issues. You will need to complete a Medical Exam with an approved doctor. Please note that you cannot use any doctor to complete your medical exam, you can only use an approved professional from the panel of physicians. Things you must bring to your medical exam. Make sure you request a copy of your medical exam from your doctor. All reports and scans that you apply with, will be held by the Canadian government and not returned. Your medical exam results will be legal for only 12 months. Do not apply to a visa program if your medical results will expire or you will need to go back and do it again. Want us to help you figure out how to immigrate to Canada From Saudi Arabia? Let’s start by signing you up and our professionals will call you soon.